Welcome to Novel Effect 2.0! Today is a big day here at Novel Effect, we’re excited to announce the release Novel Effect 2.0 on iOS and our first release on Android! Be a Part of Our Storytime Squad! With the American Library Association (ALA) holding their Annual Midwinter meeting in Seattle, what better time (and place!) for Novel Effect to mix and mingle with librarians, educators, publishers and indie authors! For the second year in a row, we will be attending the conference and are super excited to be at Booth #1204 and welcome folks to our hometown. In addition to showing off our voice-driven storytelling platform at our booth, we will also be unveiling two new initiatives during the show: Storytime Squad and Storytime Sue. 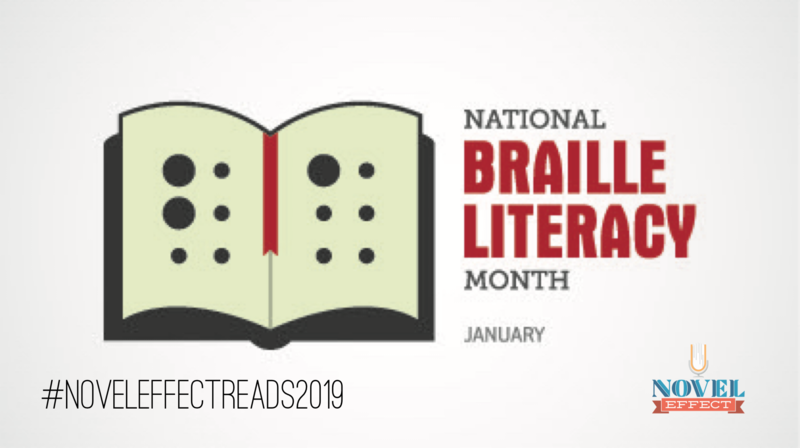 January is National Braille Literacy Month! We’re celebrating National Braille Literacy month! At Novel Effect we appreciate all learners and readers. The truth is we all use different modes to learn. No one is just a “visual” learner or just an “auditory” learner, but rather the processes we use are task-specific and reading calls on us to use many of them. Integrating multi-sensory literacy experiences in the classroom is a wonderful way to help all your budding readers. Here is a list of our recommended titles to read out loud this year! Packed with fun sound effects and lively music from Novel Effect, these popular books are sure to keep your little one engaged for the entire story, whether they are reading themselves or just listening. 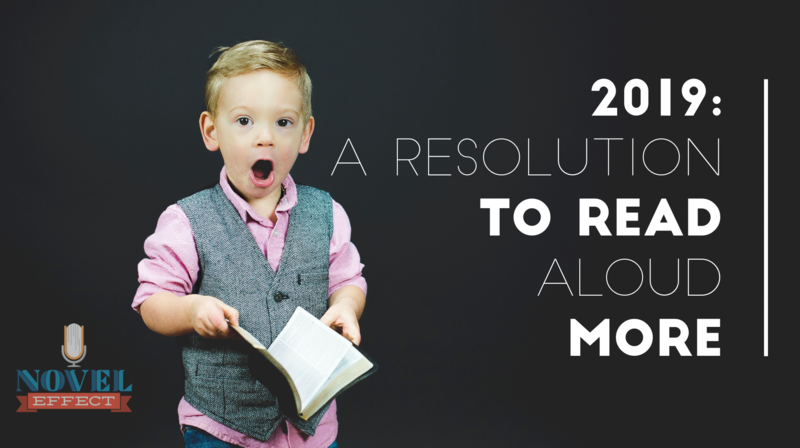 Make a resolution to read aloud more and join in on our pursuit to get every child to love reading in 2019! Happy New Year Novel Effect-ers! ‘Tis the Season for Holiday Traditions! My favorite part of the holiday season are the traditions we revisit year after year. Our family crowding around the dinner table to enjoy grandma’s famous mac and cheese recipe, driving around with warm blankets and a thermos of hot chocolate to see the neighborhood lights. This season is all about spending time together and doing things we love with the ones we love. The holidays are all about spending time together – which is why we think these five festive activities are great fun for the whole family! Novel Effect is celebrating The 5-Days of Bookmas! Each day we are featuring a holiday title found on Novel Effect via social media and pair it with a family-friendly activity to get into the spirit of the season. Happy Holidays, Novel Effect Educators! As you are Fa-La-La-ing your way to…V-A-C-A-T-I-O-N, we thought you might like to ease some of that countdown-to-holiday-break craziness with titles that explore different seasonal cultures and traditions. Good news, there’s a little elfish-luck in your corner, all the titles below are available in the Novel Effect app! We sat down with composer Ian Silver and Audio Lead Matthew Boerner, two of the talents behind some of your favorite Novel Effect soundscapes, to ask them about creating the soundscape for Baseball Saved Us, a story about a Japanese American boy and his family finding identity in baseball during WWII internment camps. Novel Effect brings stories to life. Our app syncs theme music and sound effects to kids books as they are read out loud, creating an immersive experience unlike anything you’ve ever had before!